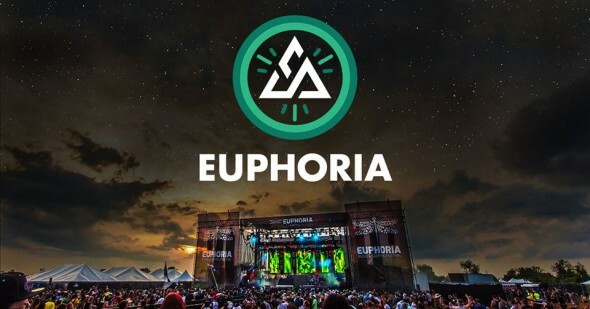 Austin, Texas (October 13, 2015) – Euphoria, a now four-day music and camping festival, will be returning to Austin, Texas this April 7 – 10, 2016. In celebration of the 5th Anniversary, the festival will be expanding to include a fourth day, exclusively open to those fans that will be a part of the camping community. A fixture on many Top 10 lists, the leading electronic/dance music festival in Texas and throughout the Southwest, Euphoria has hosted well know performers such as: Pretty Lights; Ghostland Observatory, Adventure Club, Big Gigantic, STS9, Thievery Corporation, Tritonal, Zeds Dead; Beats Antique; Lotus; Gareth Emery; The Crystal Method; Bro Safari; DVBBS; Keys N’ Krates, Datsik; Tommy Trash; EOTO; Mord Fustang; Felix Cartal; Conspirator; The Motet and The Polish Ambassador. The 2016 lineup will be the most expansive to date, building upon the foundation of the last four years. 5th year commemorative, “5 Finger Discount” passes go on sale Friday, October 16 at 10 am CST for a very limited allotment at $99, plus fees. Camping options, which includes a new Thursday night New Moon Pre-Party, will be available starting at $149, plus fees. Tickets will be available online at www.euphoriafest.com. Euphoria Music Festival is an 18 and over event. Visit www.euphoriafest.com for the most up-to-date information. Stay connected on Twitter at www.twitter.com/EuphoriaMusFest and on Facebook at www.facebook.com/EuphoriaFest. The Euphoria 2015 after movie can be viewed here, https://youtu.be/HMIb8kjegGQ.